Few Sri Lankan meals are complete without pol sambol, the ubiquitous condiment that accompanies rice and curry. 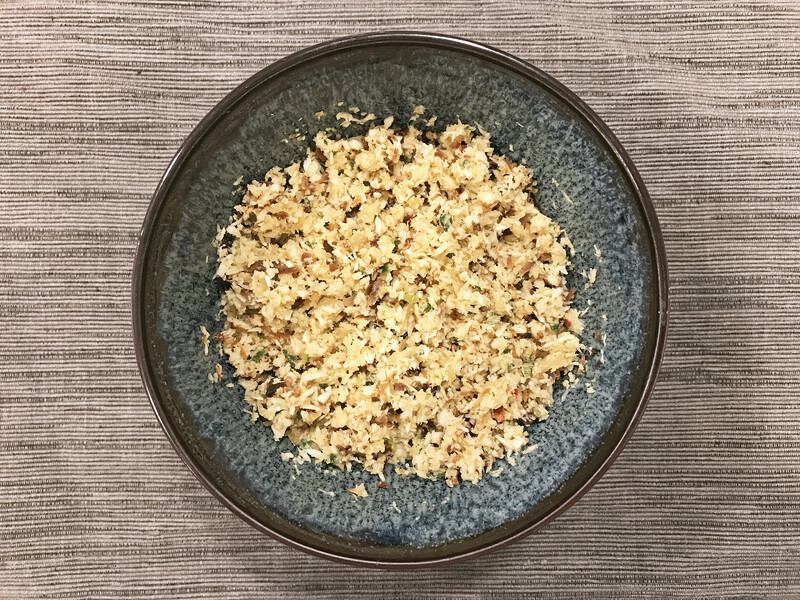 Spicy, citrusy, and salty, this coconut sambol brings a cooling element to otherwise fiery food. There are countless variations on pol sambol, but this one is my favorite. 1. Place onion, serrano chile, garlic, cayenne pepper, curry leaves, and Maldive fish in a food processor and blend. Add the salt, pepper, and coconut and blend until mixture is bound. 2. Remove from food processor and put in a bowl, mix in lime juice, and let sit in the fridge for at least an hour, covered, for flavors to blend, before serving. 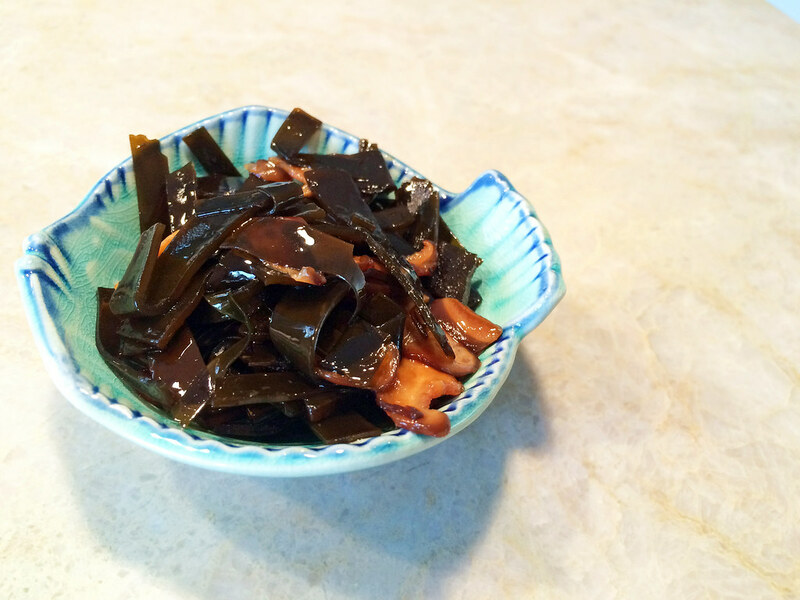 My first taste of kombu tsukudani was as a university student in San Francisco. My roommates were Japanese (hi Sanae!) and we’d often head to Nijiya Market in Japantown to do our grocery shopping. The first time I tasted this kelp relish, I fell in love with the salty, slightly-sweet, oceany flavor. This tastes perfect on top of rice or as a filling in onigiri, but I also like it eat it by itself. If you make homemade dashi and find yourself with lots of leftover pieces of kombu seaweed, this is a perfect use. I like to add enoki mushrooms to the the mix for a textural contrast, but it tastes just as good without. 1. Slice the kombu into narrow strips 1 1/2 inches long. In a saucepan, bring 2 cups of water to a boil and add the vinegar. The vinegar helps tenderize the kombu and eliminate bacteria. 2. Reduce the heat to maintain a simmer and cook the kombu for about 8 minutes. Test for doneness by pinching a strip of kombu: it should yield easily. If it does not, continue cooking for another 5 minutes. Drain under cold water and rinse. 3. Rinse and dry the saucepan and add the sugar, sake, mirin, and soy sauce. Bring to a simmer over low heat and add the kombu. Simmer for 4 minutes and add the mushrooms. Cook over low heat for 5 minutes, stirring often to not let the liquid scorch. 4. When the kombu looks glazed and the liquid has mostly reduced, remove the pan from the heat, let cool to room temperature, and serve. This dish is an amalgamation of influences. The spices are Indian. The lemons are Californian. The peppers are Mexican. 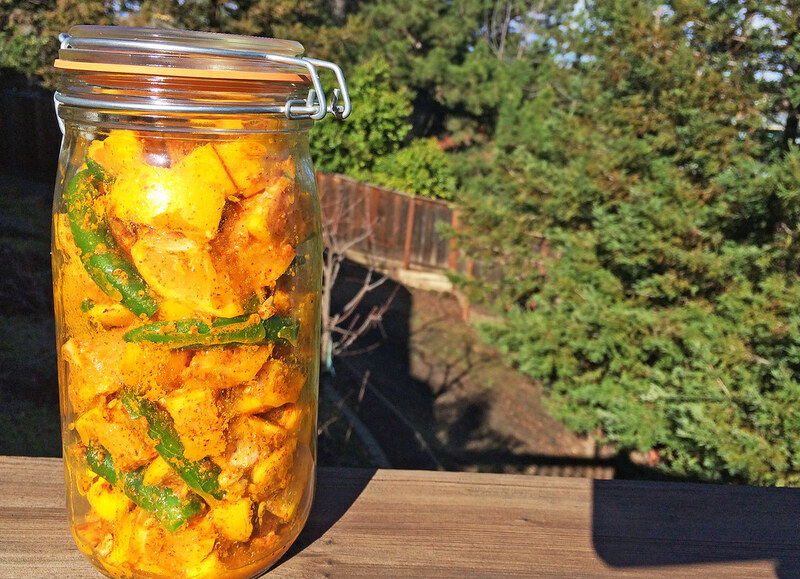 South Asian lemon and lime pickles are typically cooked in the sun, the flavors soaking up the rays and developing over time. They often contain a bit of oil, a counterpart to their lip-smacking acidity. But lemon season in California is in the middle of winter, where the sun isn’t strong enough to cook much. And I wanted an oil-less pickle. Something fresh, spicy and bright to complement a seafood curry. Enter Meyer lemon pickles. If you’re lucky enough to have access to Meyer lemons, you’ll know that they’re sweeter and juicier than you’re average lemon. 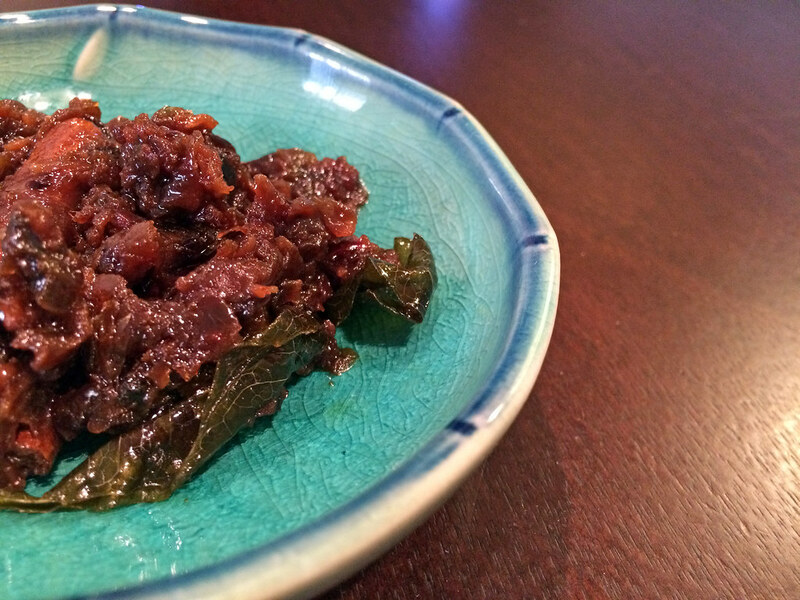 We have a tree full of them, and so I experimented until I had the perfect lemon pickle. I’ve made jar after jar of these: my family asks for them now, too (lemon pickles go just as well with Iranian khoresh as they do with South Asian curry). You’ll have to wait at least a couple of months for this pickle to be ready to eat: the peels will soften (the tastiest part), the juices will rise, and the flavors will really develop over time. Make sure to make a couple of extra jars. They won’t last long. 1. Wash and dry the 8 lemons thoroughly. Cut off the tops and ends, quarter lengthwise, and then cut each quarter into halves or thirds along the length. 2. Place the lemons in a large bowl and toss with salt and turmeric. 3. In the meantime, toast the mustard seeds, fenugreek, and asafoetida (if using) in a small pan until lightly toasted. Let cool and grind to a powder. 4. Add the spice mixture, cayenne pepper, ginger, green pepper, and juice of remaining 1/2 lemon and mix thoroughly. Divide between cleaned and sterilized jars. Seal and refrigerate, mixing every two days for the first two weeks. Wait at least 2 months before eating. Seeni sambol is meant to be eaten as a condiment, but I love this sweet and spicy onion relish so much that I eat it straight out of the container. No shame. Like its Southeast Asian cousin sambal, Sri Lankan sambols are part of a larger meal, alongside dishes like hoppers or rice. This is my favorite sambol. It’s easy to make but takes patience: lots of stirring and doting over a pan of slowly caramelizing onions, Maldive fish, chili powder, curry leaves, and sugar. Feel free to adjust the amount of pepper to your preference. 1. Strain softened tamarind pulp in a sieve, discarding solids. Mix tamarind pulp into coconut milk and set aside. 2. Heat oil in pan. Fry onions, garlic, ginger, and curry leaves until onions are golden brown. 3. Add cardamom, cloves, cinnamon, salt, cayenne pepper, Maldive fish, tamarind-coconut mixture, and lime. Cook, uncovered, on low heat for about 40 minutes. 4. Add sugar and mix well. Remove from heat, cool, and store in a glass container in the refrigerator for up to a week. Serve at room temperature. Ever since the Great Kimchi Disaster of 2005, where I naively thought that using pre-packaged kimchi flavoring powder on cabbage would result in the vinegared vegetables of my dreams, I’ve stayed away from trying to make kimchi. Until now. 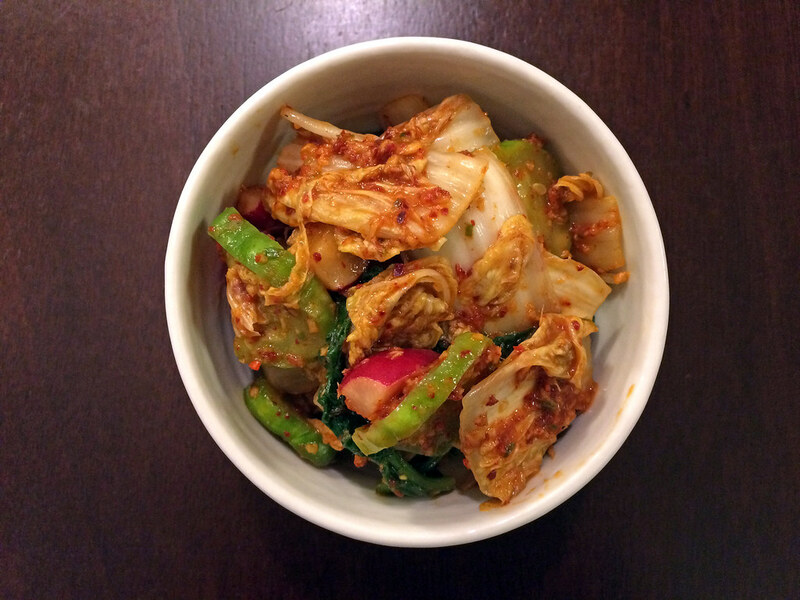 This kimchi recipe is fresh rather than fermented, resulting in a crispy texture. Less funk, more crunch. 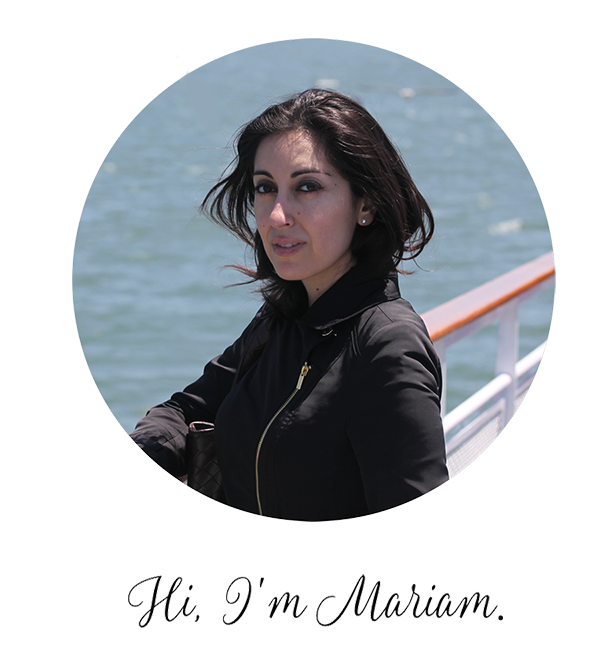 The preparation couldn’t be simpler and the results are oh so worth it. 1. Place the cabbage, cucumbers, daikon and radishes in 4 separate bowls. Add 1 tablespoon of the salt to each bowl and toss well to coat the vegetables. Let stand at room temperature for 1 hour. 2. Meanwhile, in a blender, combine all of the remaining ingredients and puree until smooth. 3. Drain the vegetables and squeeze out excess water. In a bowl, mix all of the vegetables with the gochugaru-vinegar sauce. Cover the kimchi and refrigerate overnight before serving.